Medium Size 8 to 12. Large Size 14 to 16. Breathe life into your new season look with the Kit and Kaboodal Diana Gilet. 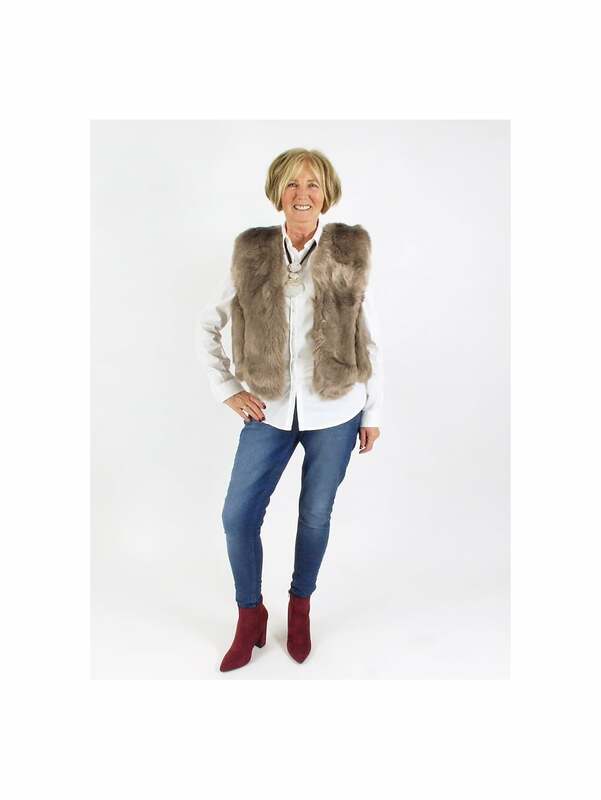 The Kit and Kaboodal Diana Gilet is crafted from beautifully soft faux fur with a sleeveless design and hook and eye fastenings to the front. This Kit and Kaboodal Diana Gilet is a fabulous way to layer up your look this AW! The Kit and Kaboodal Diana Faux Fur Gilet is also available in other colours.